Posted on March 29, 2017 by Ching under Food and Drink. 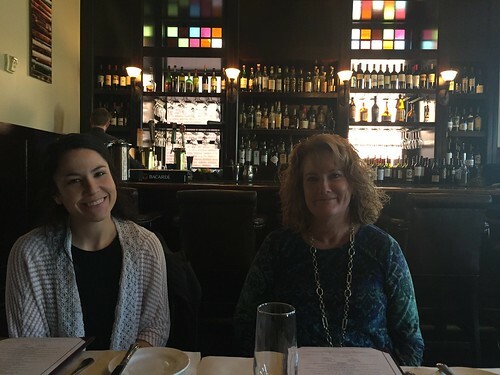 These are pictures from our team lunch at the Webster House, a very unique restaurant and shop located near the Kauffman Center, a couple of weeks ago. 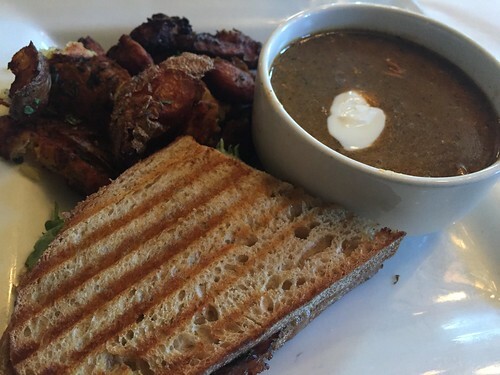 The food was delicious but the service was just okay. Our server was really slow and did not give us bread because he didn’t want to “over carb” us. We must have looked like we were on diets or something. LOL. Posted on March 19, 2017 by Ching under Food and Drink, Things to Do. 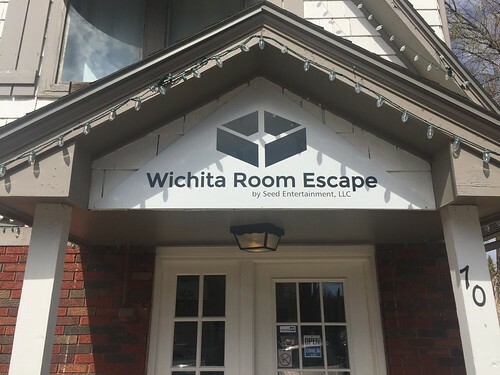 I’d been wanting to try an escape room ever since the first one opened in Wichita a few years ago. 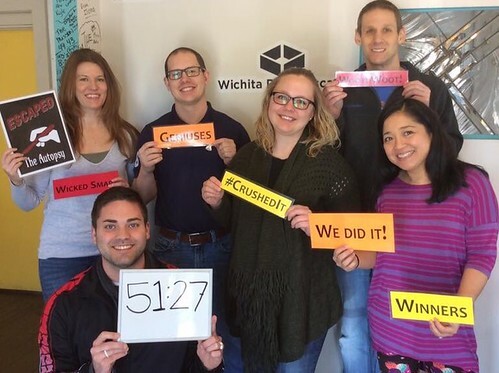 Back when I led the Quality Assurance team in the Customer Relations Center (CRC), we talked about going to Wichita Room Escape. However, they were only open on the weekends at the time. They were first starting out and all the founders had day jobs. I’m not sure if the business is still owned by the same owners because the sign on the front door says Seed Entertainment LLC but their web site has Kingdom1 LLC. Either they’ve changed owners or they’ve grown because they are now open during the work week. I’ve been team-less for a couple of years now. I’m still technically a member of the CRC team but I haven’t had team members reporting to me for a while. 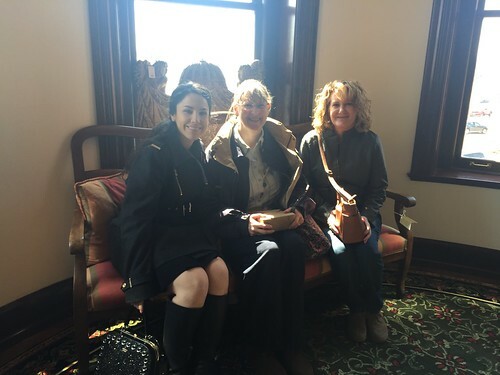 I was so grateful when Darcy invited me and Jeff (our department administrative assistant, who tends to not get invited to things either) to be part of her team building exercise. And, I was even more thrilled when I found out it would be a room escape activity because I’d always wanted to try it. Darcy booked the Autopsy room for us, which is about a medium difficulty level. We were told the room has about a 30-35% success rate and that everyone who has escaped has used all their clues. After a short briefing about how to operate the various locks that we would find in our room, we were off to the races. 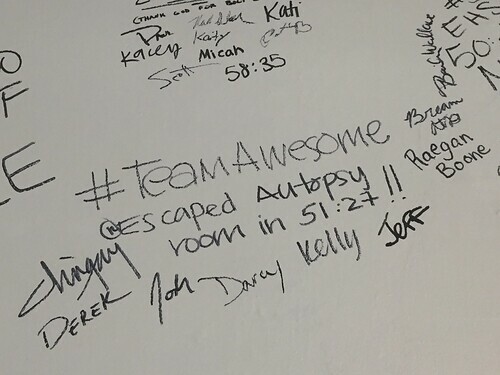 I’m not going to reveal too much here so as not to ruin the fun for others but I will say that it was a ton of fun solving puzzles with Jeff and #TeamAwesome, the team name that Darcy’s team has dubbed themselves. It was so exciting every time we solved one of the puzzles and unlocked one of the locks because it led to even more clues. There were times that we would get stuck and had to use one of our clues (you get to ask for help three times) and then, armed with some guidance, attacked our puzzles with renewed vigor. The key to remember is to not be stubborn and wait too long to use your clues. There are dozens of puzzles to solve and locks to unlock. You can’t waste 20 minutes being stuck. 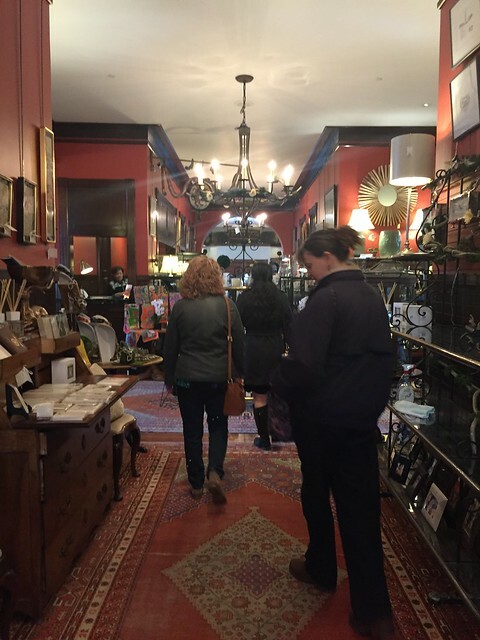 If you are stubborn and what until the last five minutes of your allotted time (you have exactly an hour to escape the room) to ask for your first clue, it may not be as useful. They’re giving you a clue, not the answer, so you still have to process the information. I don’t know about you, but it’s harder for me to solve puzzles under duress. So that is probably the best advice I can give. Do not wait too long to ask for a clue when you get stuck because it may be too late. Since we escaped, we got to write on their wall and that was really cool. We are now members of an elite club of room escapers. LOL. Even though we escaped the room with plenty of time to spare, it was challenging enough that we still got a rush and sense of accomplishment out of the experience. When we were down to the last 10 minutes of our time, we had no idea how many more puzzles had to be solved or how many locks were left so we did feel a sense of urgency at that point. No one panicked and we got out after roughly 51 minutes and 27 seconds in the room. I was very impressed at the sheer number of locks and puzzles that they managed to squeeze in to the room. There were clues everywhere. The clues hidden throughout the room also consisted of a good variety to where you weren’t solving the same types of puzzles. And there were some combinations where the clues were laid out in multiple ways so there was more than one way to arrive at the solution. They had us working together and using every bit of that room. It was very stimulating and definitely one of my most favorite team building activities to date. 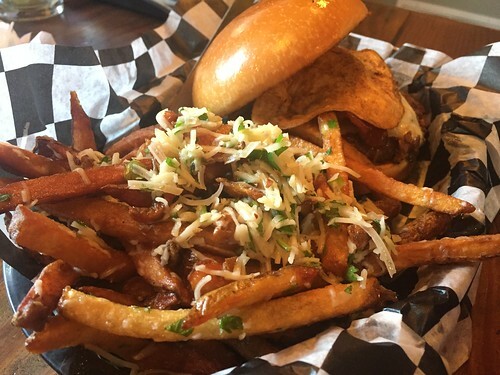 After working up an appetite solving puzzles, we headed to Dempsey’s Burger Pub next door for lunch. 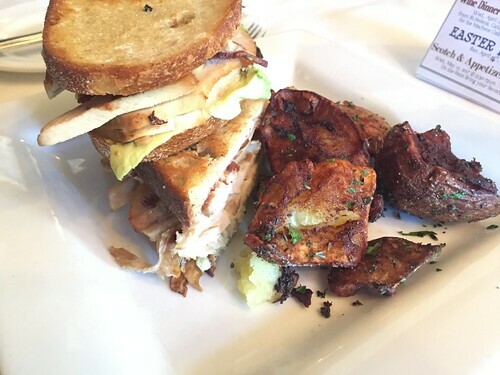 Here are some pictures of our delicious food. 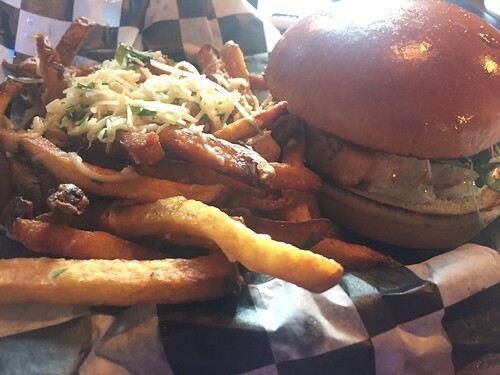 I had the salmon burger, which I enjoyed immensely. 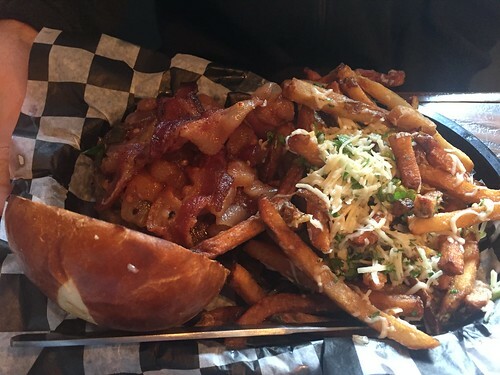 Dempsey’s serves amazing burgers but the Burger Stand in Topeka is still my favorite. I mean, they have ping pong there and Dempsey’s does not. LOL. 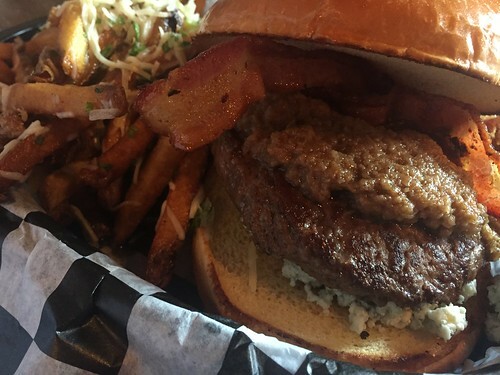 As far as gourmet burgers go, Dempsey’s is probably as close as it gets around here, though. After lunch we headed over to Central Standard Brewing where Josh’s girlfriend Alicea met up with us. We played a round of Uno before I had to leave to pick up my little sister (but that ended up being canceled last minute because of something that happened at school) so I really could have stayed for another round of Uno. Anyway, I had so much fun hanging out with #TeamAwesome that day. I hope they invite me to another one of their team building events again soon. Posted on March 15, 2017 by Ching under Food and Drink. The Phelpi were in Kansas City last week for the Big 12 Conference. As luck would have it, the Stub Hub ticket pickup site was in my hotel! They ended up taking advantage of the $5 parking lot in front of the hotel and I met them when they came to pick up their tickets. It was super convenient. Cory and his dad walked over to the Sprint Center for the first game. April, Gavin, and I rode the KC Streetcar over to the Metro Center. We didn’t need to but I wanted to share the Streetcar experience with April and Gavin. 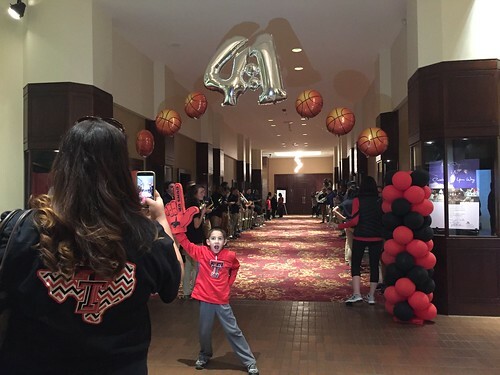 April saw something on Facebook that the Texas Tech basketball team would have a send off at the Marriott Kansas City Downtown, my usual hotel, so we went over there first before heading to dinner. 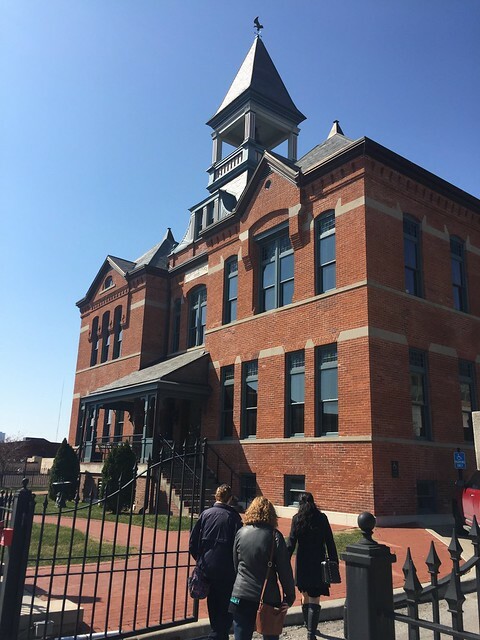 I showed them around a little bit, pointed at my office building, that sort of thing. When we got to the Marriott, no one seemed to know what was going on. Luckily, we saw the band when they walked in so we just followed them and found our way to the right spot. 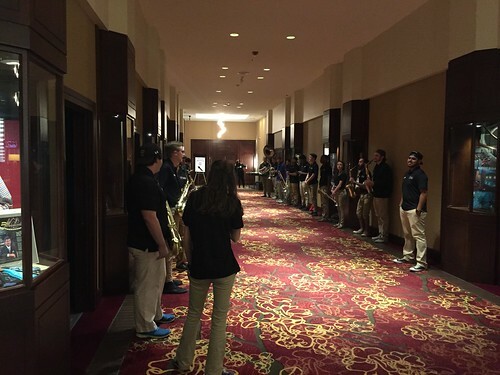 Here’s a picture of the Texas Tech band members lined up along the hall as they waited for the basketball team. We took some fun pictures while we were waiting. I thought I got a video of Gavin high-fiving some of the basketball players as they walked by but I was a dingbat and forgot to hit the button. 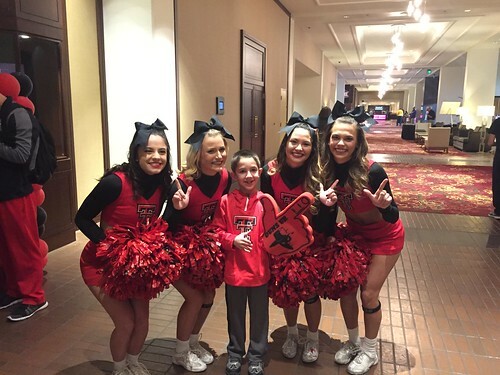 I did manage to get a good photo of him with the pretty cheerleaders. After the send off, we walked over to Power & Light to have dinner at BRGR. I would tell you what all of these different burgers are but I’ve slept since then. I do remember what I had — the Big Hoss — because it’s what Brian and I had the last time we were there. I had forgotten how huge the burgers are and concluded, too late, that April and I should have just split one. Something to remember for next time. 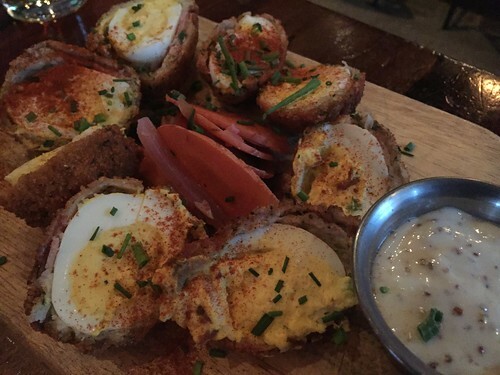 Obviously, we got some fried deviled eggs (scroll up for picture). 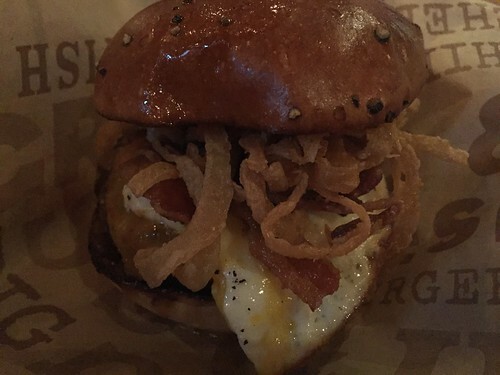 They are a must have at BRGR. 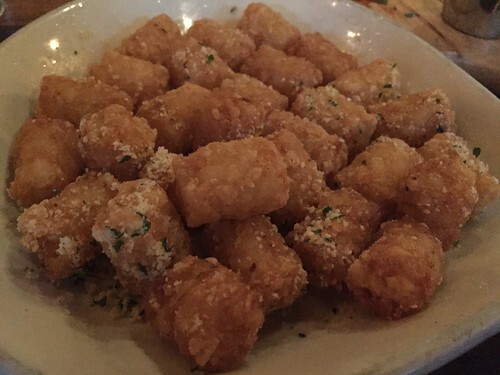 We also got some truffle tots because they are so yummy. 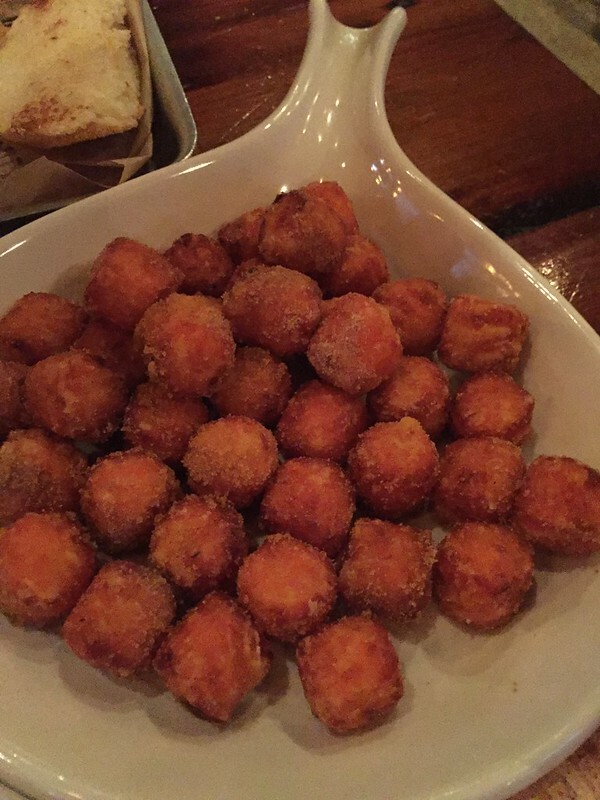 We also got some sweet potato tater tots because they are simply amazing. They have a dessert-like sweetness to them and almost remind me of corn fritters, though I know that they aren’t. As you can see, we had way too much food for two and a half people (three if we’re rounding up). 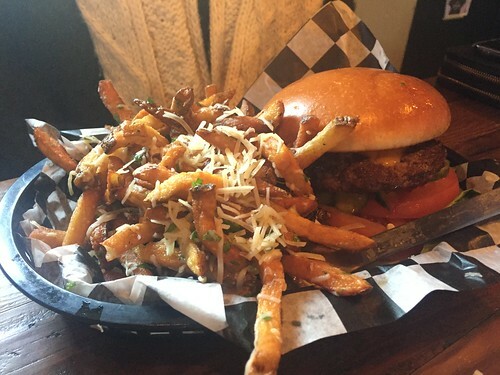 I ended up boxing half of my burger and all of the leftover tater tots. I was thinking of eating the leftovers for lunch the next day at work, rather than just letting them go to waste. I was also super excited that I got to take another one of those little bottles of Tabasco. The last time Brian and I were here, our server let us take our bottle home so I was really looking forward to bringing home another little Tabasco bottle for Brian. He still has the other bottle and he carries it everywhere with him in his man-bag because he like to splash Tabasco on everything. The kids activities outside the arena were already closed by the time we finished dinner but it was still too early for their basketball game so we ended up walking around hunting Pokémon. We also walked around the huge Rally House store across from the Sprint Center. Eventually, it was time for them to head inside for their game and I made my way back to my hotel. As I walked away from the Sprint Center, toward Main, I passed by a man who stopped me and asked if I had any money. I think he was just a homeless person rather than an actual panhandler because he wasn’t holding a sign or anything. 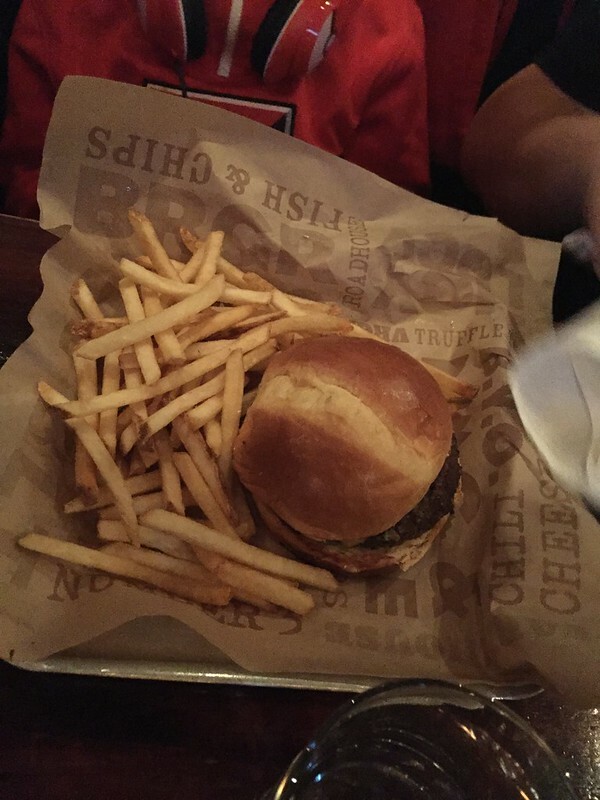 Anyway, I was still holding my bag of BRGR leftovers so I told him I didn’t have any money but I did have some delicious food. 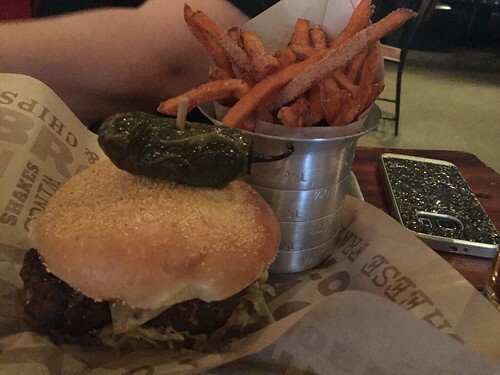 For a split second I considered taking the Tabasco because I had meant to give it to Brian but then I figured that the man would need it for the burger. It’s a must for the Big Hoss. I also figured that he will have great use of the Tabasco sauce to liven up other foods that he might come cross in the coming days. I have always wanted to give my leftover food to someone in need but I never seem to come across any homeless people when I’ve got some food to give away. Either that or, I can never summon the nerve to offer it to someone who looks homeless. I mean, what if they’re not really homeless and just unkempt? That would be really awkward. I dare not insult anyone. I’m trying to help, not make them mad at me. I usually just end up putting my leftovers delicately on top of a trashcan where a homeless person might come upon the gift without having to dig through the trash. You have no idea how happy I was that I finally came upon a homeless person to accept my leftover food. I didn’t have any money for him but he seemed genuinely grateful for what I had to offer. While I would have enjoyed the delicious food (half of my Big Hoss, two deep fried deviled eggs, and tons of truffle tots and sweet potato tots because they always give you so much) the next day, knowing that someone who needed it more benefitted from it was far more fulfilling. Anyway, what a fun evening! We live in the same city but, since Cory and April moved out West, we rarely ever get to see one another. It was such a treat! Posted on March 13, 2017 by Ching under Community. I know I have been quiet lately. 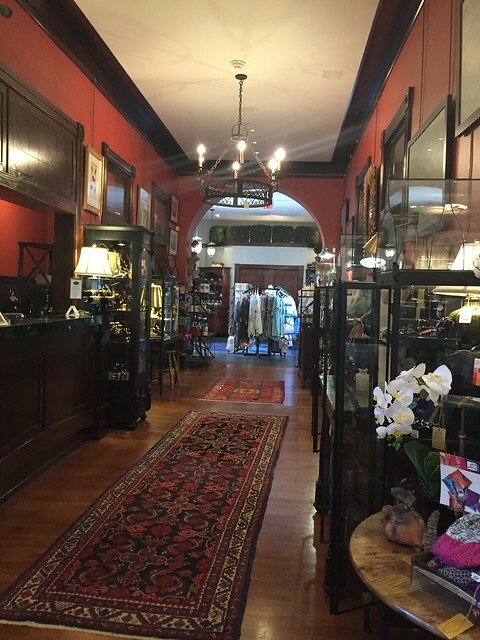 I can’t believe it has been two weeks since my last blog post. I’m still very much alive, in case you were wondering. 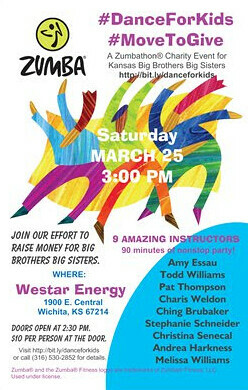 The reason I’ve been MIA lately is that almost all of my spare time has been consumed with planning and preparing for our upcoming Dance For Kids’ Sake Zumbathon® for Big Brothers Big Sisters. My individual fundraising is off to a pretty solid start. We still have about six more weeks until the end of the fundraising period and I’ve already surpassed my personal fundraising total from last year. And, we haven’t even done our major fundraising events yet. Dance For Kids’ Sake is the big one, which you can learn about here, but we also have a couple other fundraising events coming up. We’re getting some help from Chick-fil-A and Chipotle, two of my favorite places to eat. 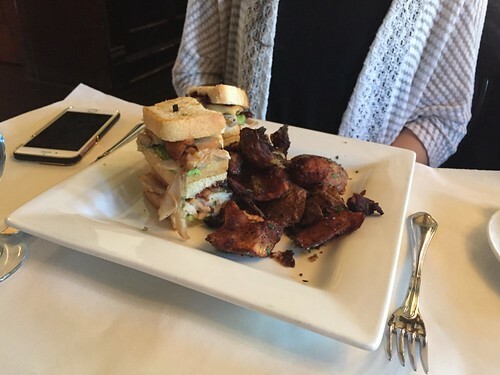 If you’re going to eat out anyway, at least make it count. 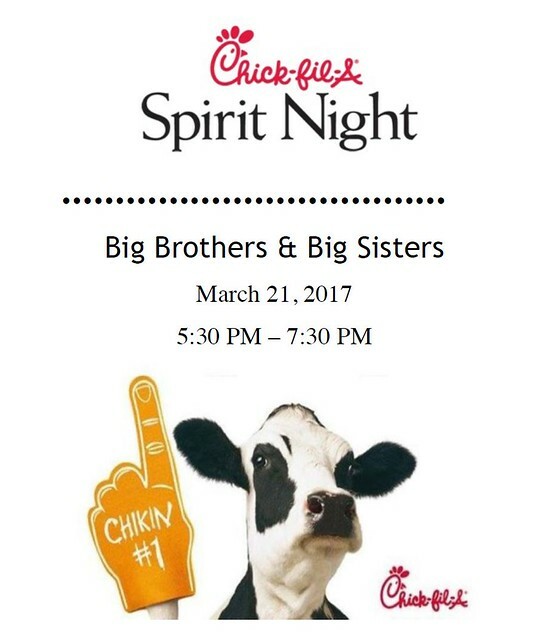 Our spirit day at the Chick-fil-A on Central and Rock Road is March 21, Tuesday. If you eat there anytime from 5:30 PM to 7:30 PM and mention that you want to support Big Brothers Big Sisters, 20% of your total bill will be donated to our fundraising campaign. I believe drive-thru works as well. The key is to mention the organization when ordering and paying for your food. Our fundraising night at the Maple and Ridge Chipotle is April 3, Monday, from 5:00 PM to 9:00 PM. 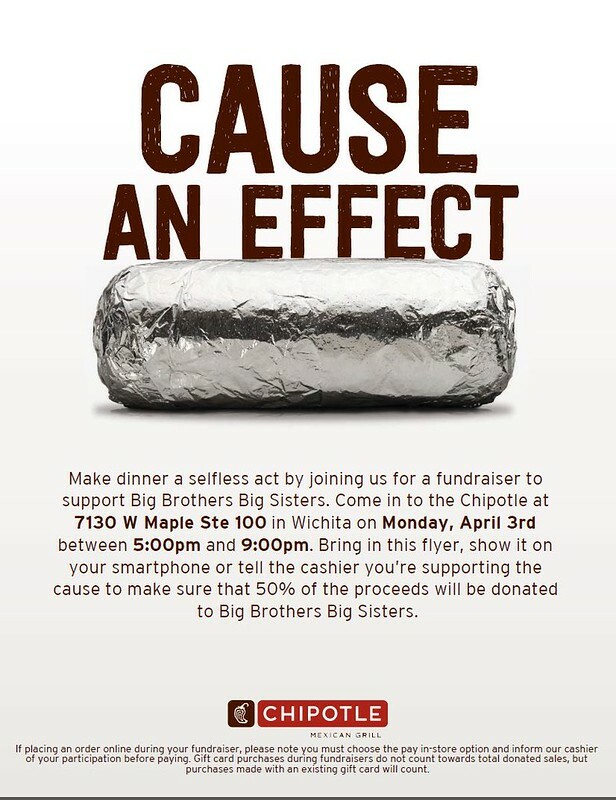 Chipotle will donate 50% of the total to our fundraising campaign as long as you bring one of our event flyers, show them a picture of the flyer, or simply mention that you would like your purchase to support Big Brothers Big Sisters. You could even order food online and still support the cause by selecting the “pay-in-person” option. 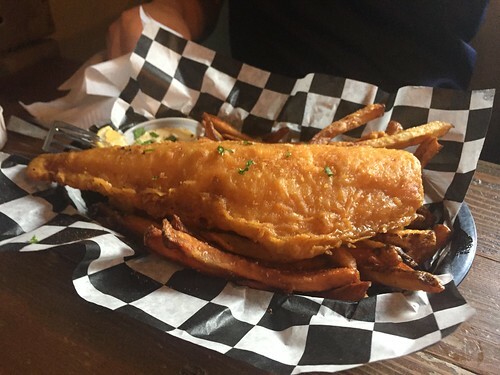 You’ll notice that one restaurant is on the East side, while the other is on the West side. That’s because Wichitans are notorious for not wanting to drive across town. 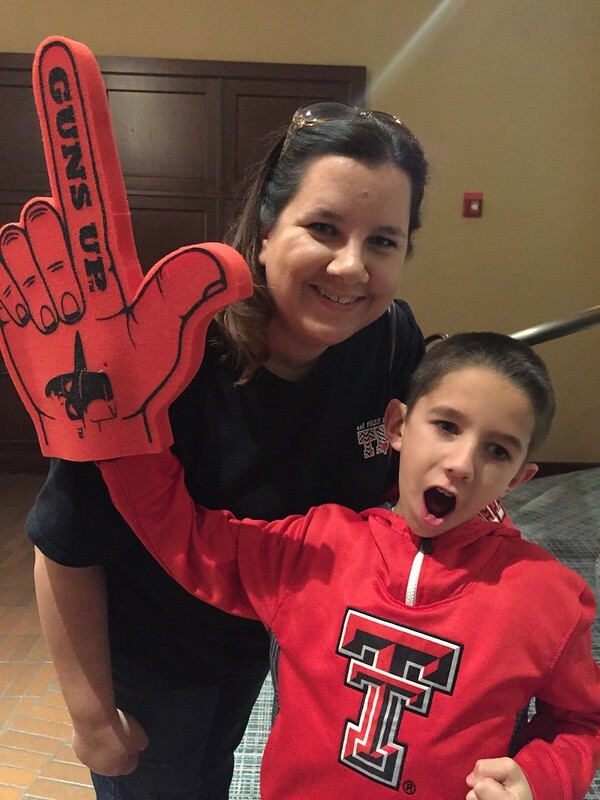 No matter what side of town you live in, you can still support our fundraising efforts! Please mark your calendars and eat at one or both places on the designated days. 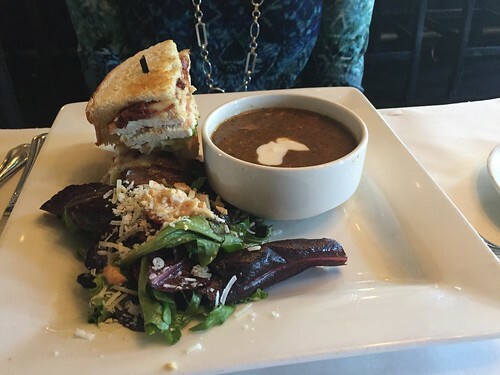 You will never have a more satisfying meal. I promise. May your hearts be as full as your bellies. Cheers!